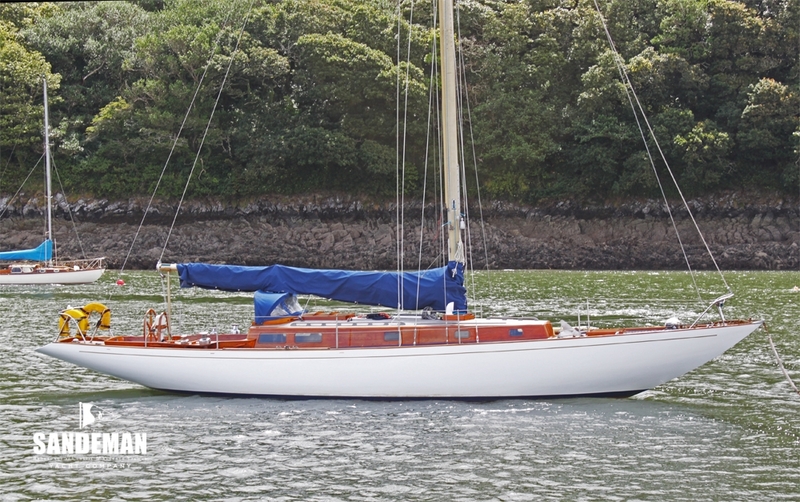 SUNBURST is notable as the most successful of 8 Metre Cruiser yachts, some 20 of which were built and raced mainly in Scottish waters but some in the South. 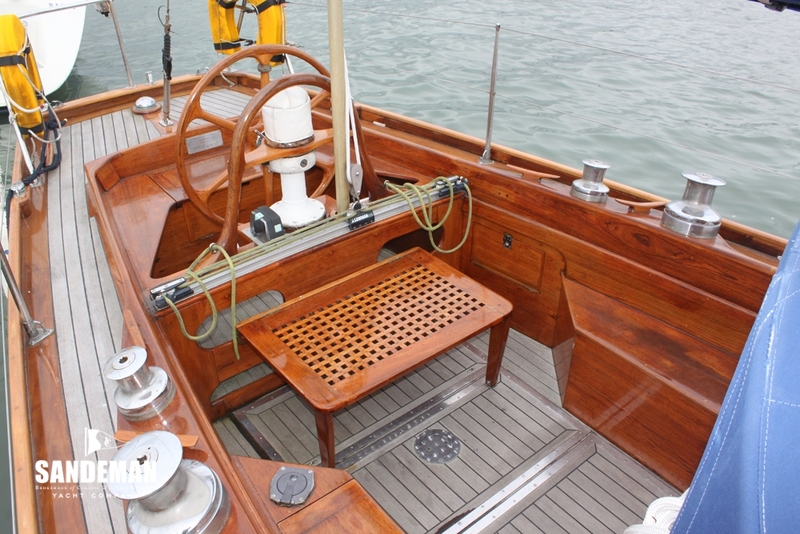 Such was her prowess in winning all the class prizes; she effectively became the class breaker; her former competitors retreating to race under IOR. 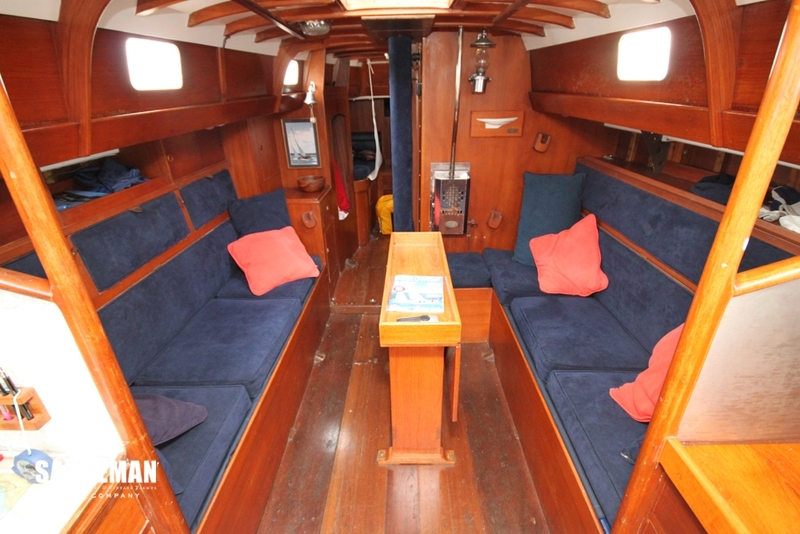 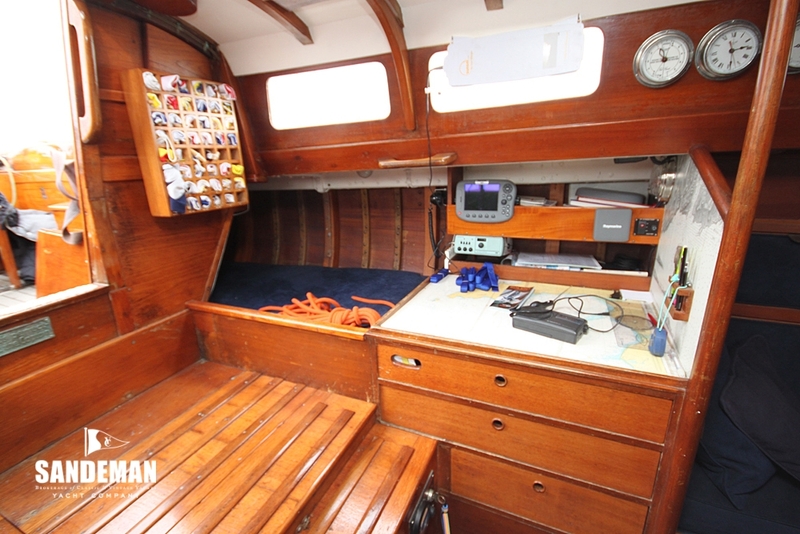 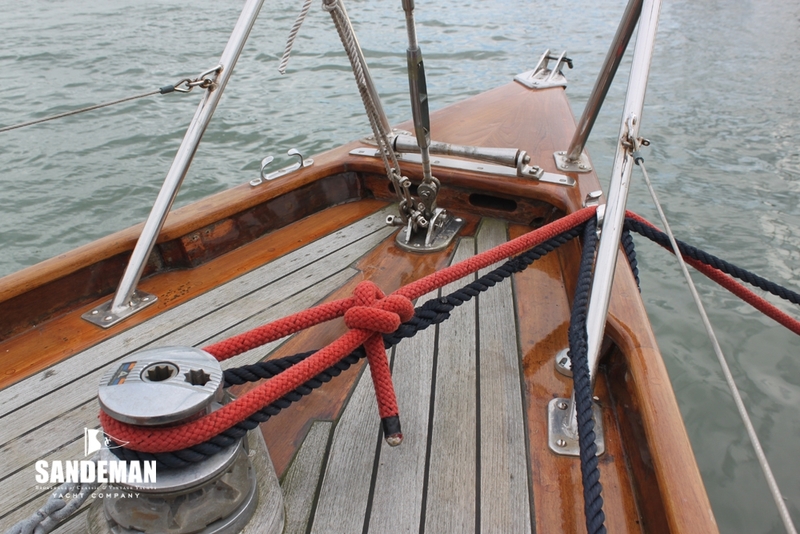 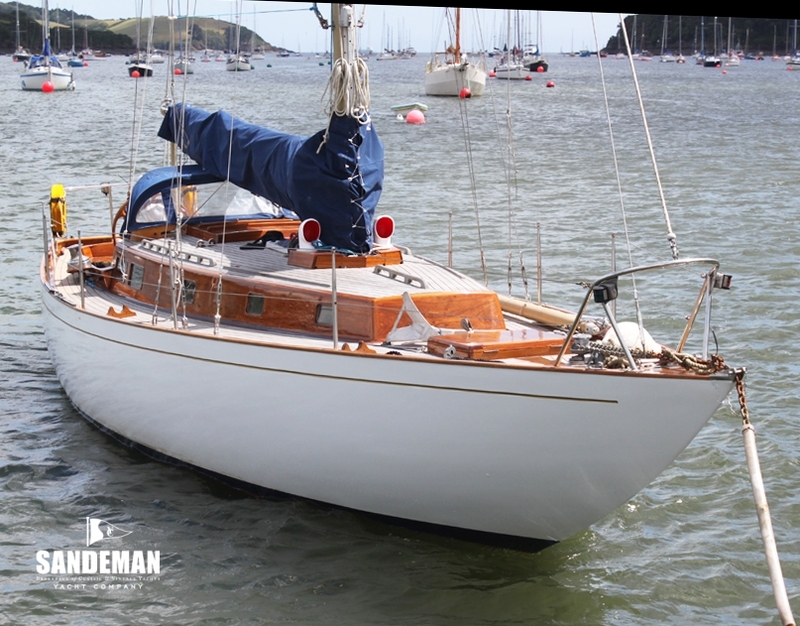 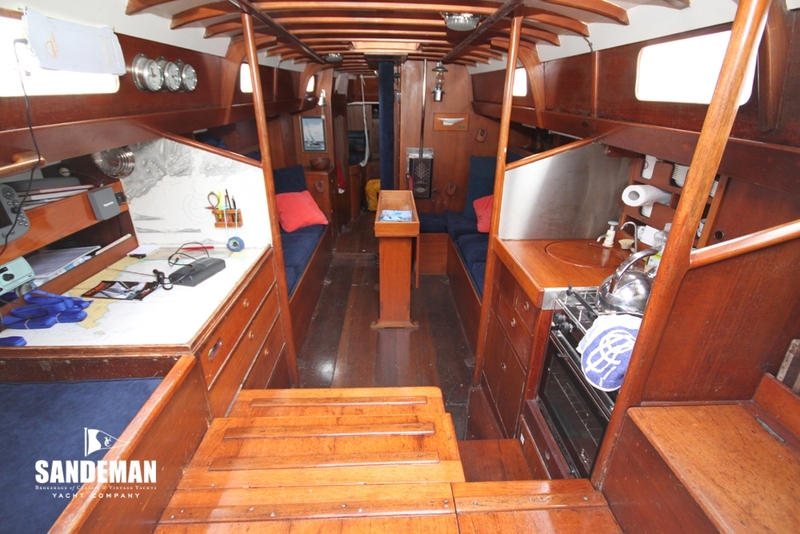 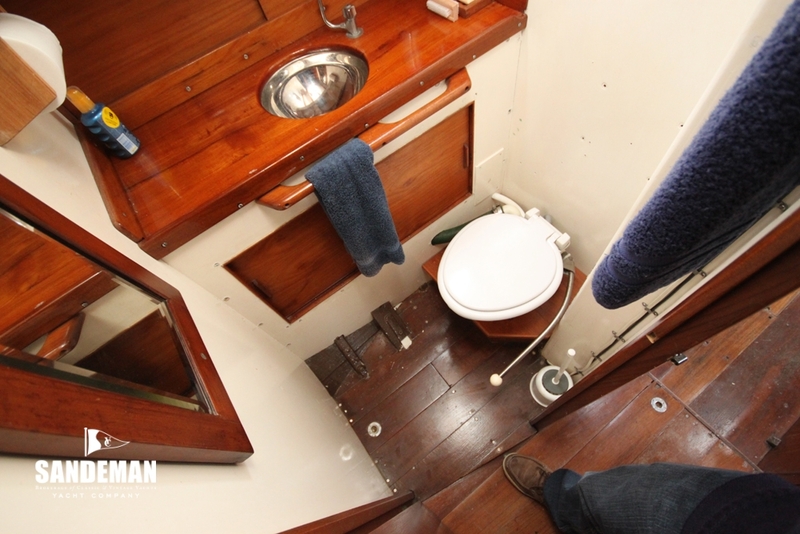 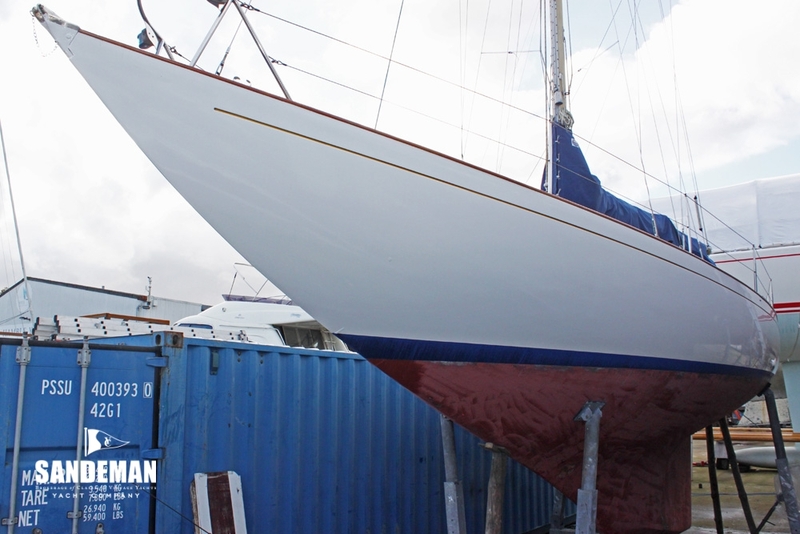 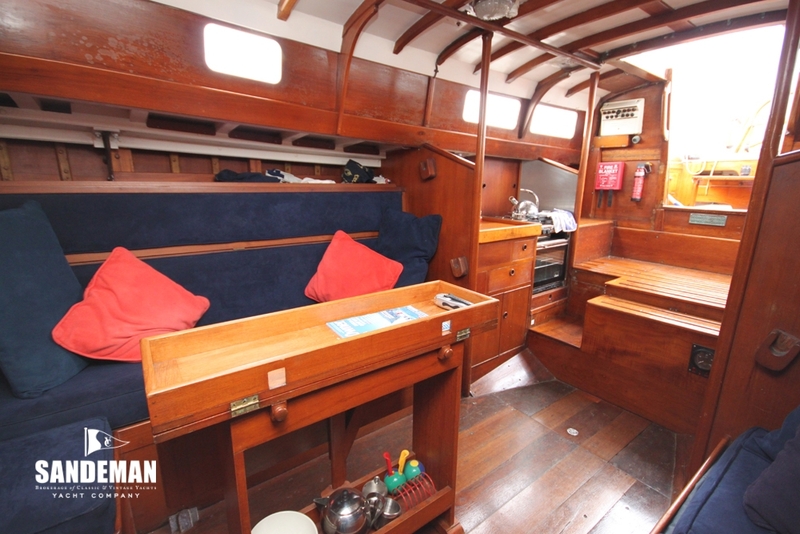 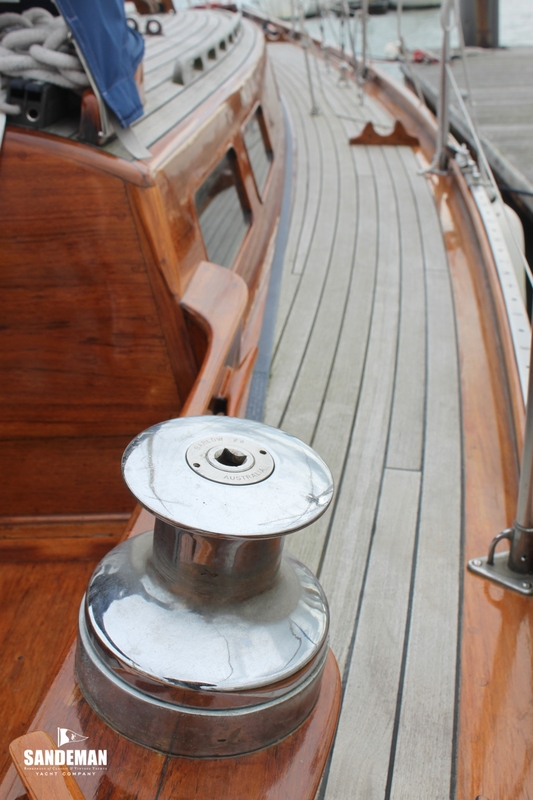 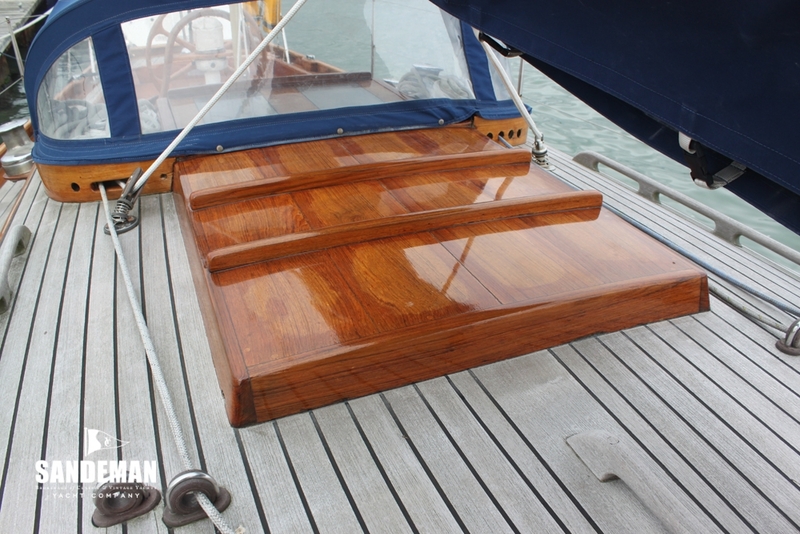 This yacht has been maintained as close to her original specification as possible having benefitted from a long and careful ownership, currently of some 33 years. 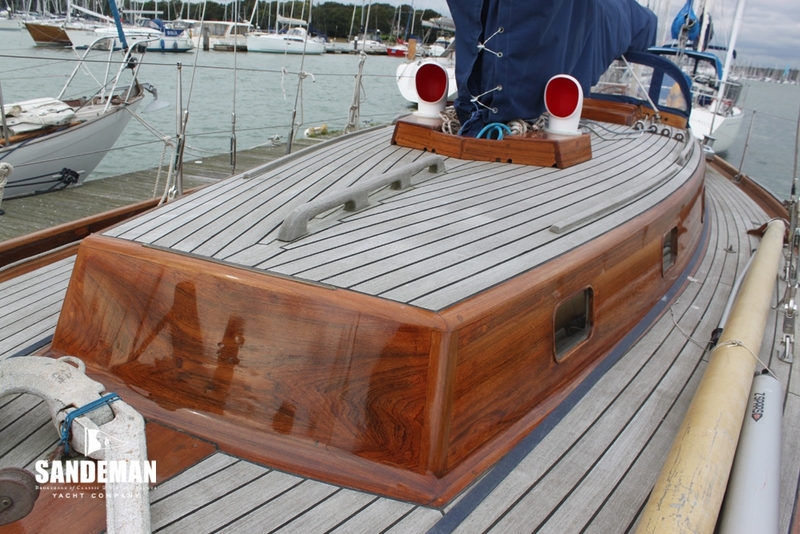 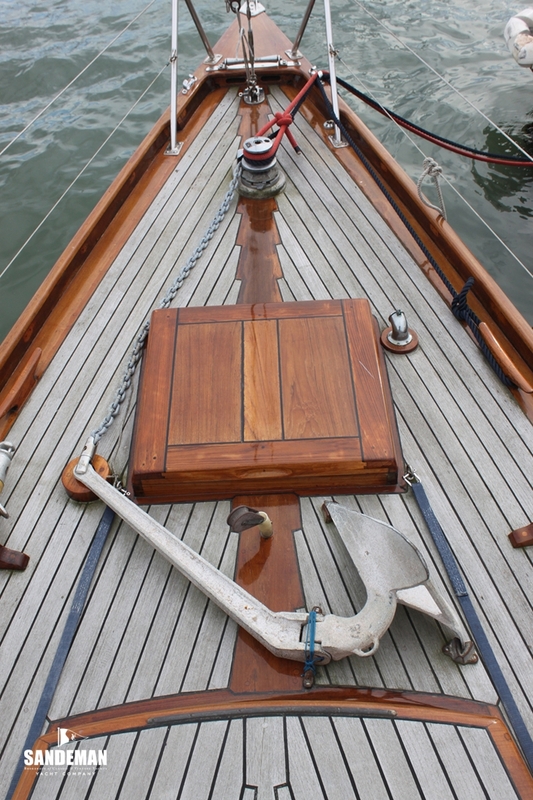 There is no mistaking her hull form and so in the right hands will not disappoint at classic events. 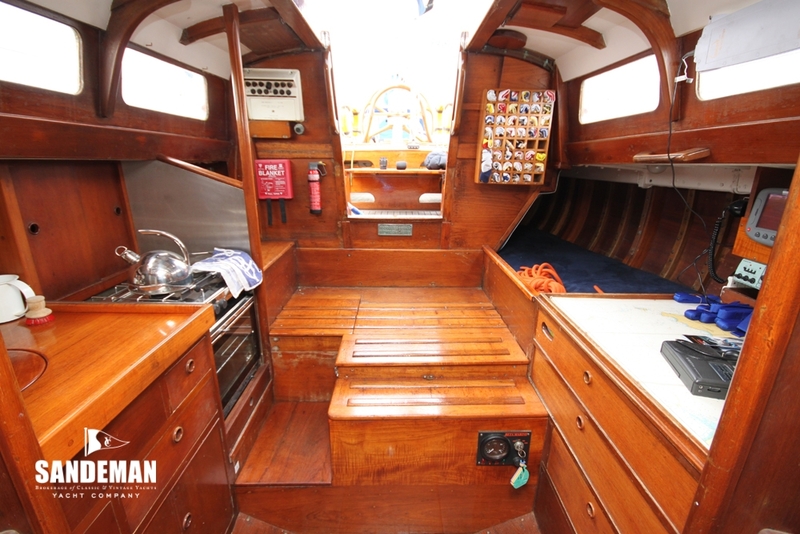 With her deep cockpit and spacious well appointed interior – belittling the cruiser racers of today, she’s an impressive all rounder - definitely a class act ! 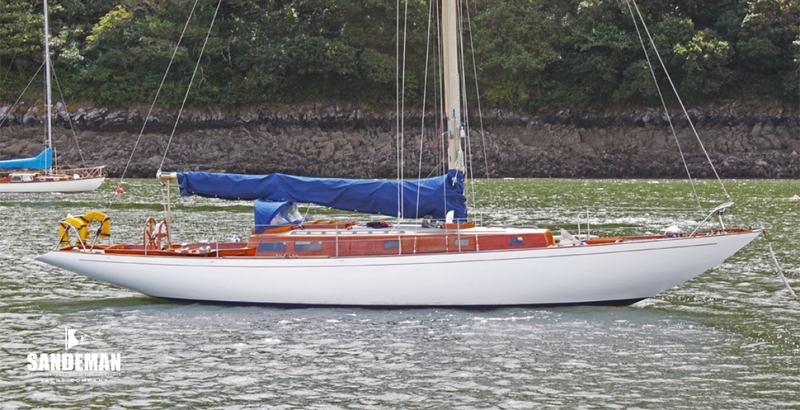 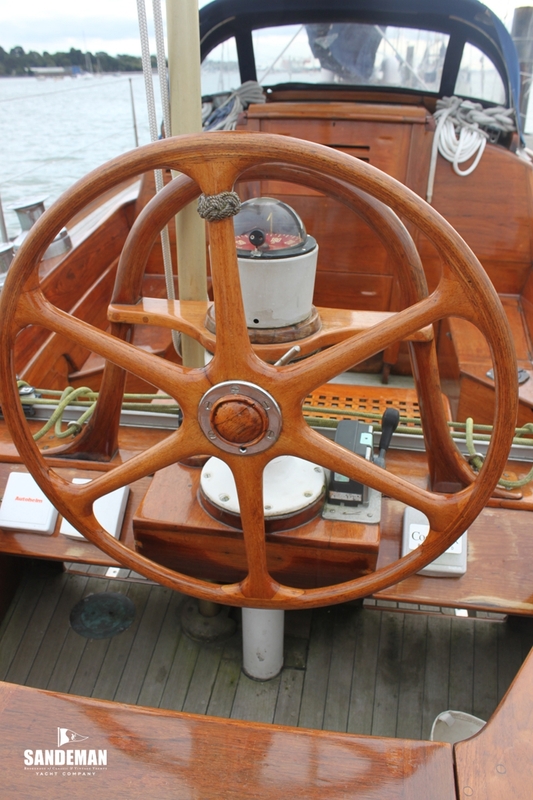 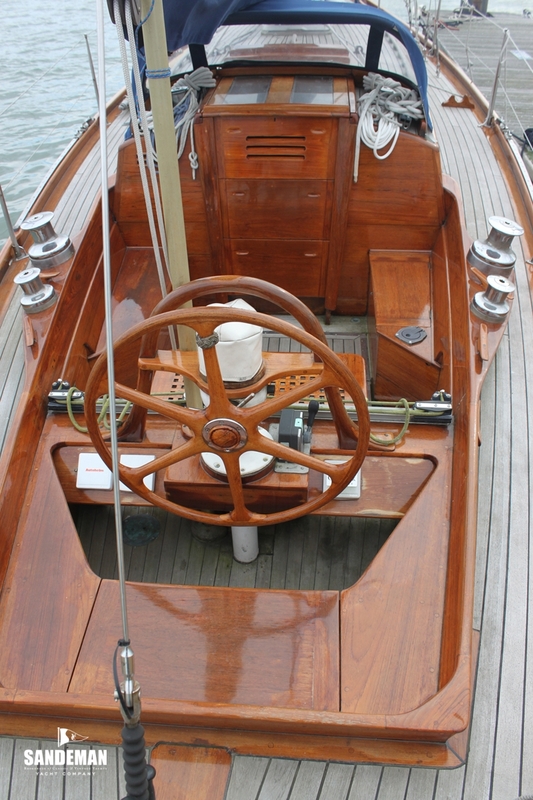 SUNBURST was the very last of the Clyde Cruiser 8 s to be built and one of the last designs from the board of David Boyd; famous for his 12 Metre and 6 Metre designs. 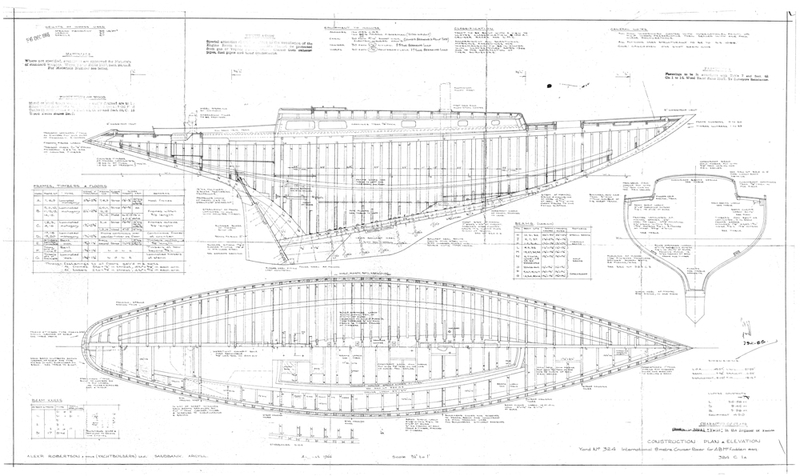 Not only Boyd’s penultimate design but this was the very last wooden boat to go down the slip of the builder, Alexander Robertson in Dunoon. 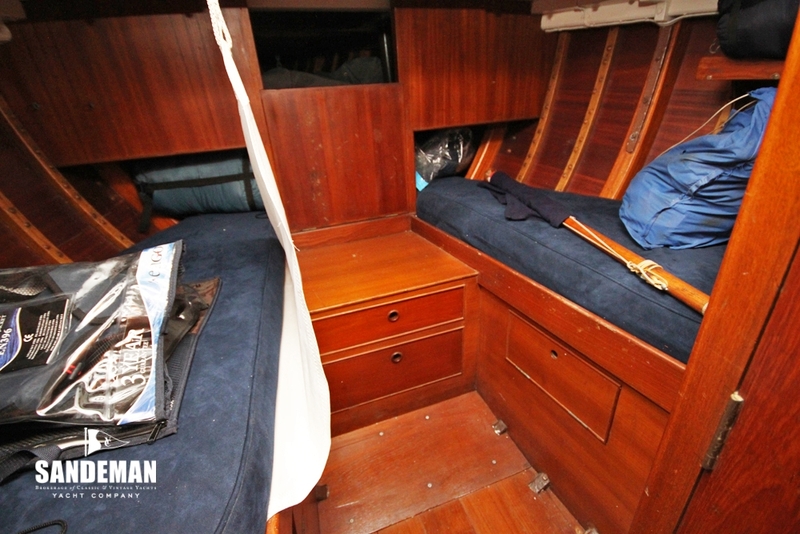 The commissioning owner Bertie McFadden a Glasgow steel man wanted the best. 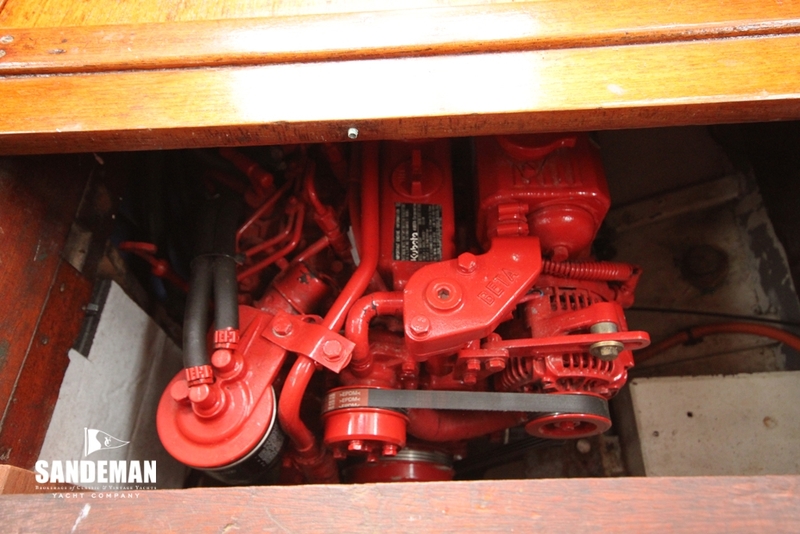 He certainly got it; built to Lloyds 100A1 and also equipped with the best; aerofoil rod rigging, 2 speed Barlow winches, specially imported from Australia with the Boyd design quite different from others in the class. 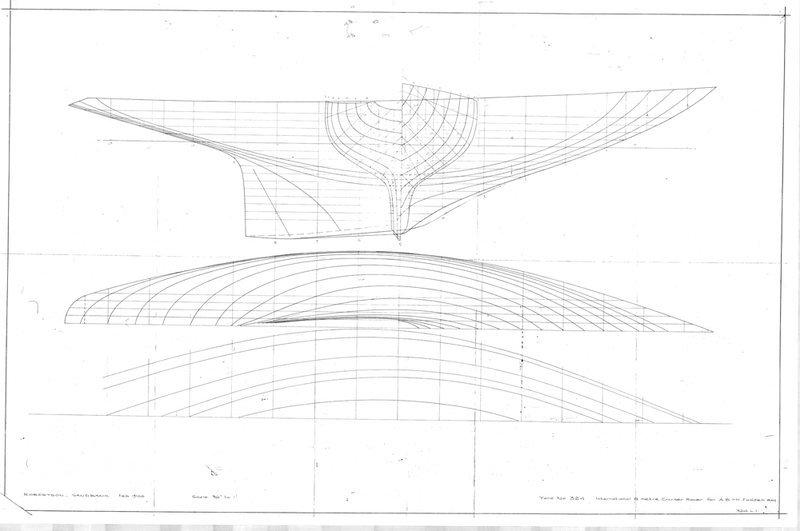 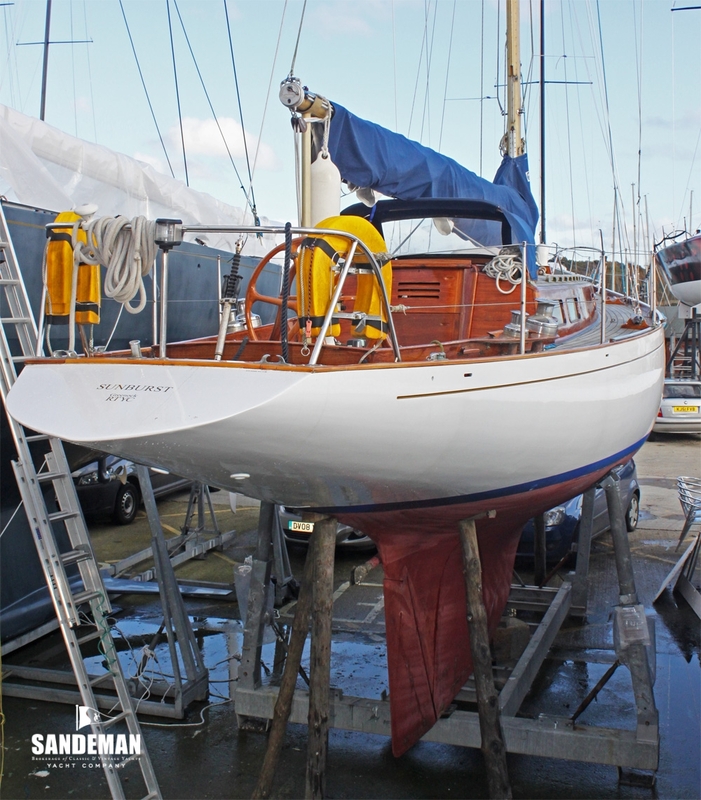 Apparently after launch she was slow to get going but when McFadden and his crew got the hang of the boat she became the fastest in the fleet, to the extent it meant other owners needed to commission new boats to keep up. 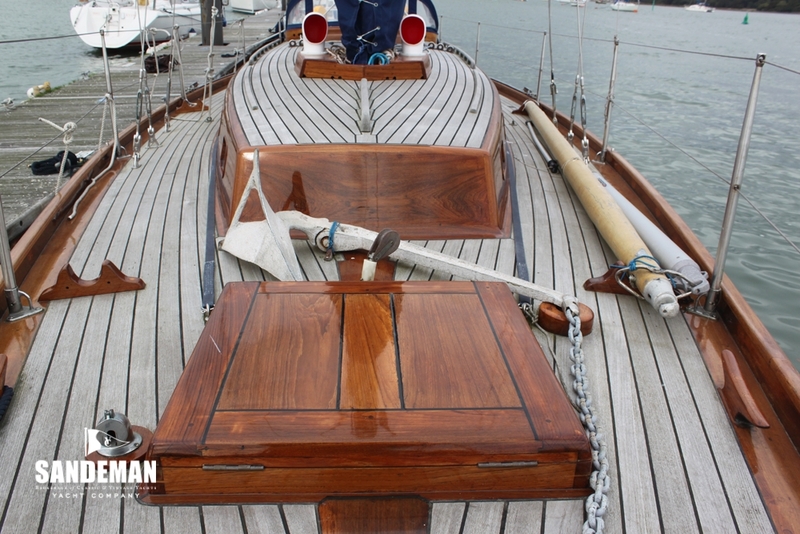 SUNBURST got the reputation of being the class breaker even if that was not strictly the case. 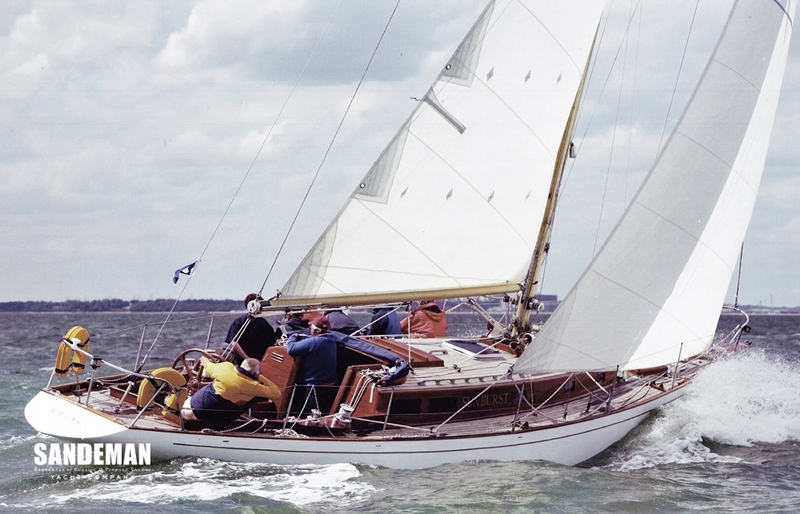 It seems not many were prepared for the cost to compete; £30,000.00 was quite a sum at the time and most 8 CRs changed over to IOR racing thereafter. 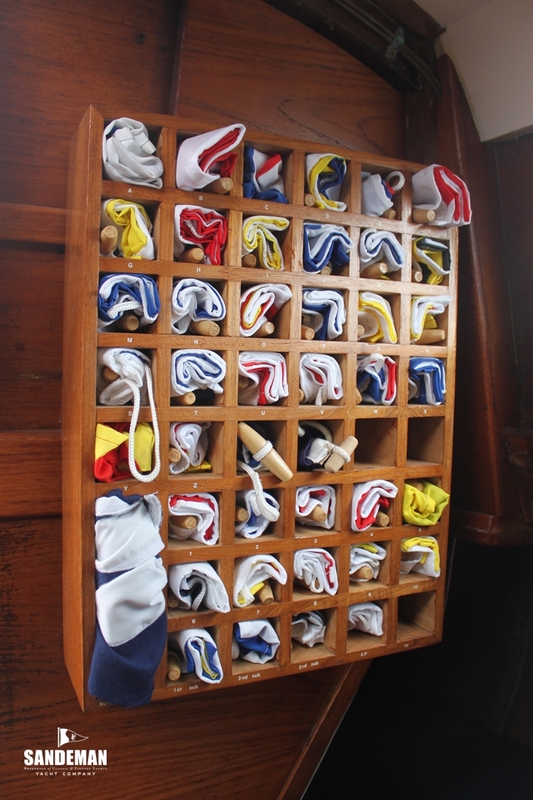 Pictures or half models of all 8 CR boats are in the 'Sonda' room at the Royal and Northern Yacht & Clyde Club, Rhu near Helensburgh, Scotland; SONDA being No 1 and Sunburst No 23. 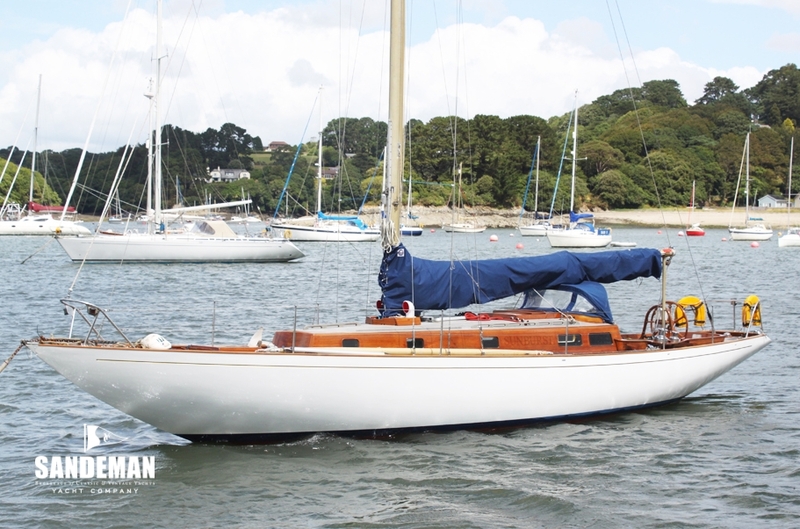 Jack Barker purchased SUNBURST from Bertie and raced her principally from Hollyhead North Wales in the ISORA series (Irish Sea Ofshore Racing Association) where they were very competitive - principally 24 / 48 hour racing between Wales and Ireland. 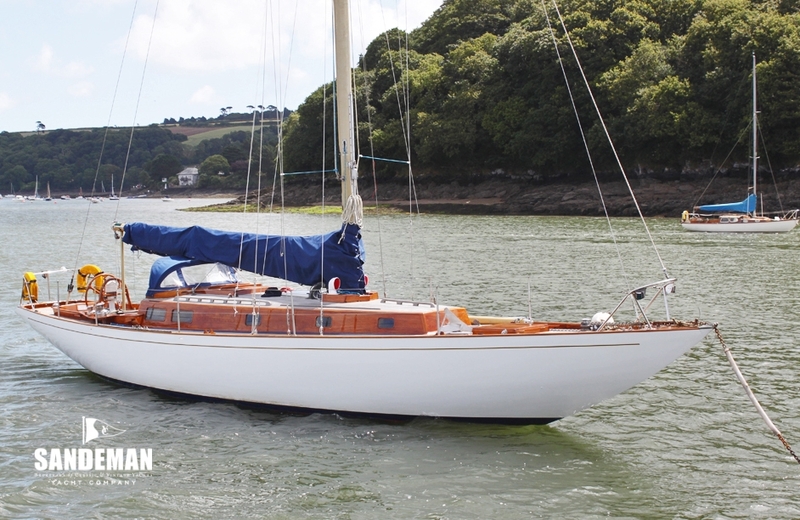 She also competed in the Fastnet and some Cowes events. 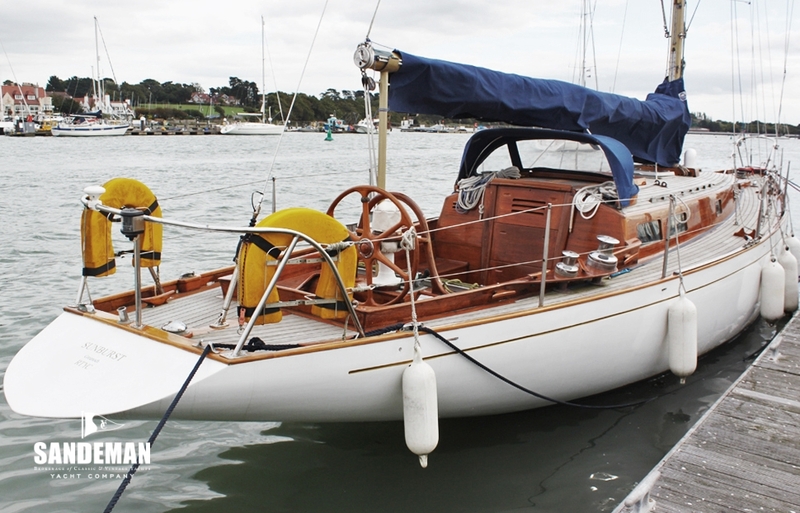 John Histon the current owner for the last 33 years also raced ISORA but mainly club racing and family cruising, winning a number of club cups in the process. 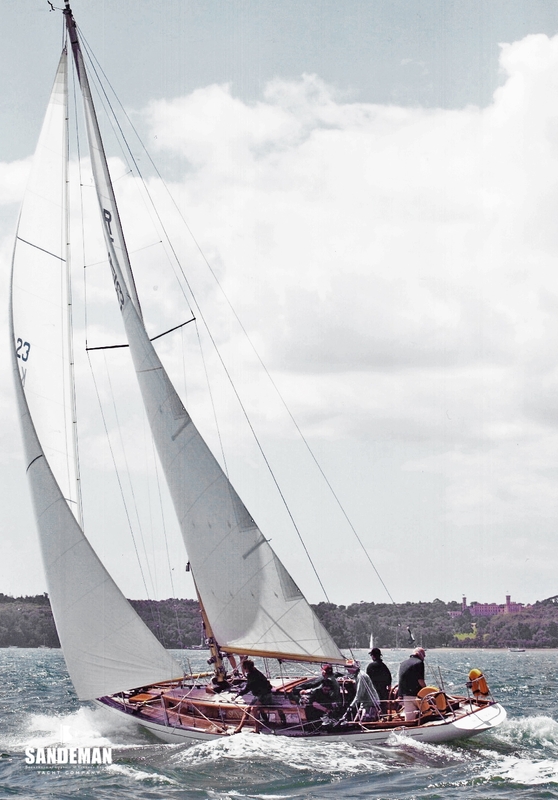 SUNBURST competed in the Metre Rule regatta at Cowes 2007.and considering the nearest competition were Straight Racing 8s she did really well. 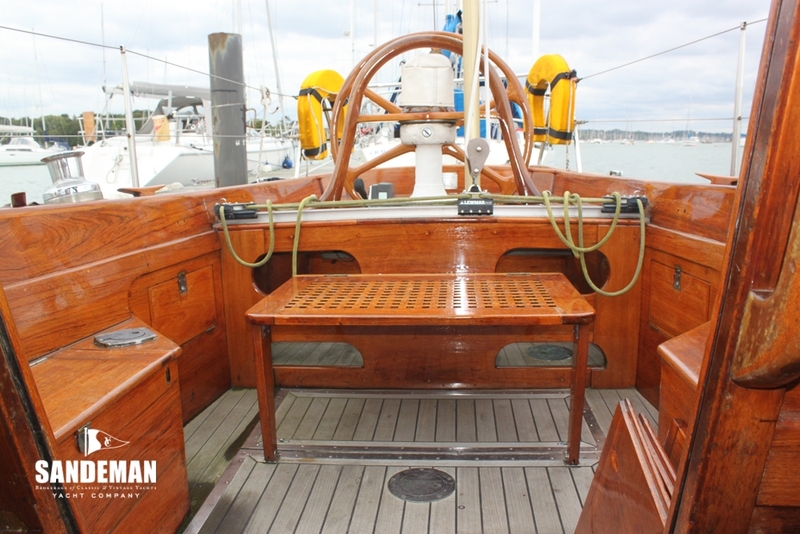 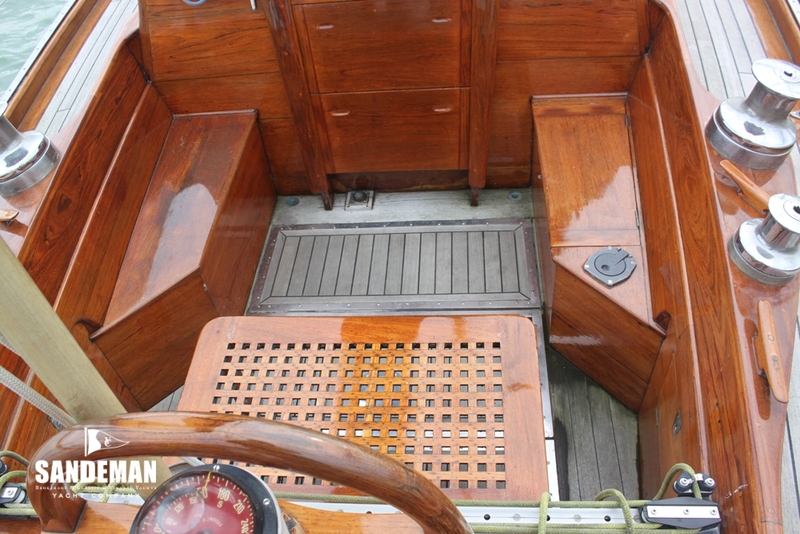 She has been kept in good condition and to the exact specification as built; the only modification was changing the aerofoil rod rigging to the round rod recently due to difficulty in obtaining the same specification.